The sturdy built-in seat encourages a natural sitting position for your baby’s healthy development. 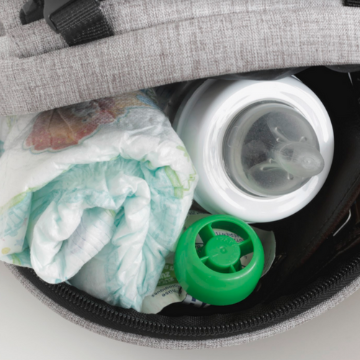 In it, you can fit all your essentials like diapers and wipes so your hands can be free for care for your baby. 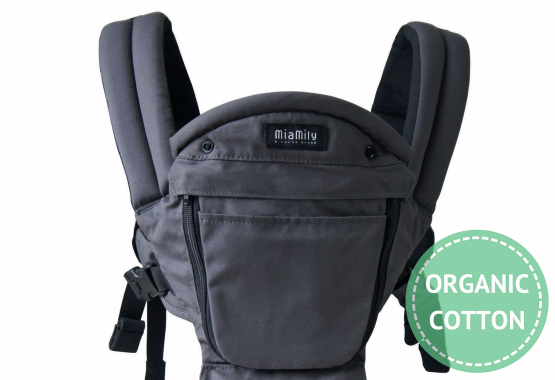 Unzip the removable front pocket and keep your baby cool in the summer. Leave it on during the chilly winter months. Inspired by parents who want the most natural fabrics for their babies. Our signature grey color makes it easy to match with your stylish outfits. "We've recently gone on a roadtrip with multiple "touristy" stops. 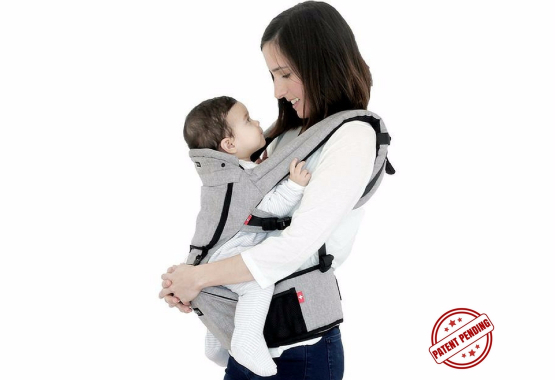 With the stormy-rainy weather in California and the snow in Utah, being able to transfer baby from car seat to carrier in a breeze is truly heaven sent! At the same time, we were able to keep baby warm and dry. The storage underneath the seat, the pockets, the cell phone holder, you'll really know the product was carefully thought out, which i really appreciate. 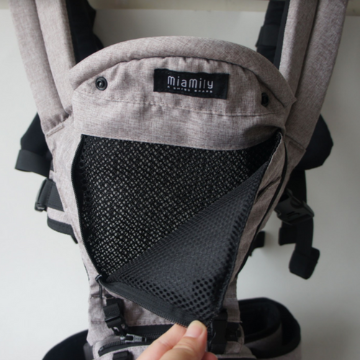 With the storage underneath the seat, you can stuff baby essentials in it thus you can do away a bulky diaper bag. Meaning free hands to eat or take a picture or just grab the railings to steady yourself." "I'm obsessed with finding the best product. After 3 carriers, I can't believe I finally found it!!! I'm a tiny person, 5'2 100lbs and all the other carriers I had never gave me sufficient support. I ended up resorting to the stroller. My baby just loves being carried and when I found 3D Hipster, I can never use anything else. Not only it provides ample support for me, my baby loves being in it so much. The structure supports his hip so well and the Y shape design gives him lots of support but at the same time not restrictive so he can freely waves his arms and legs around. Hands down, best carrier EVER!" 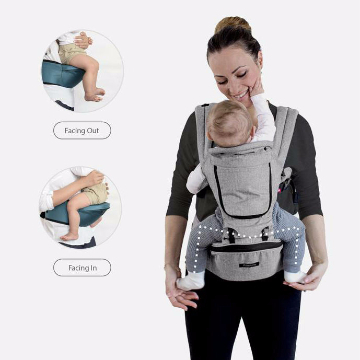 The 3D hip seat means baby’s hips are always in the correct ‘M’ position recommended by pediatricians, even when facing forward. You just can’t wear it the wrong way. No need to stick out a hip. 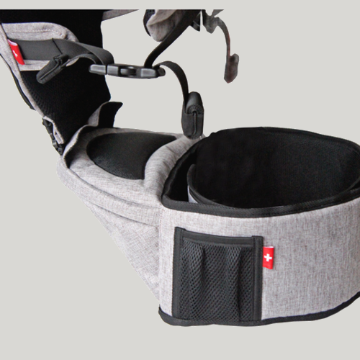 The sturdy built-in seat distributes your baby’s weight evenly. 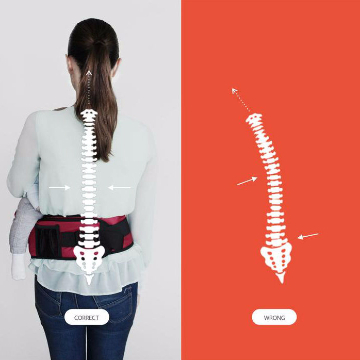 So you can stand tall without straining your back. You don’t have to decide. 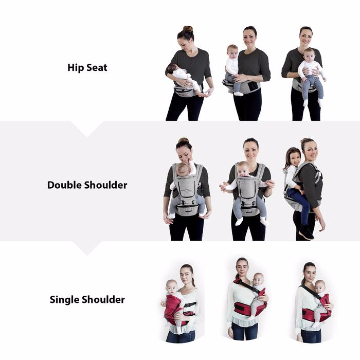 With 9 different ways to carry your baby, you get the benefits of a hip seat, a structured carrier AND a ring sling in one carrier.